Each CCF fund is charitable and unique. 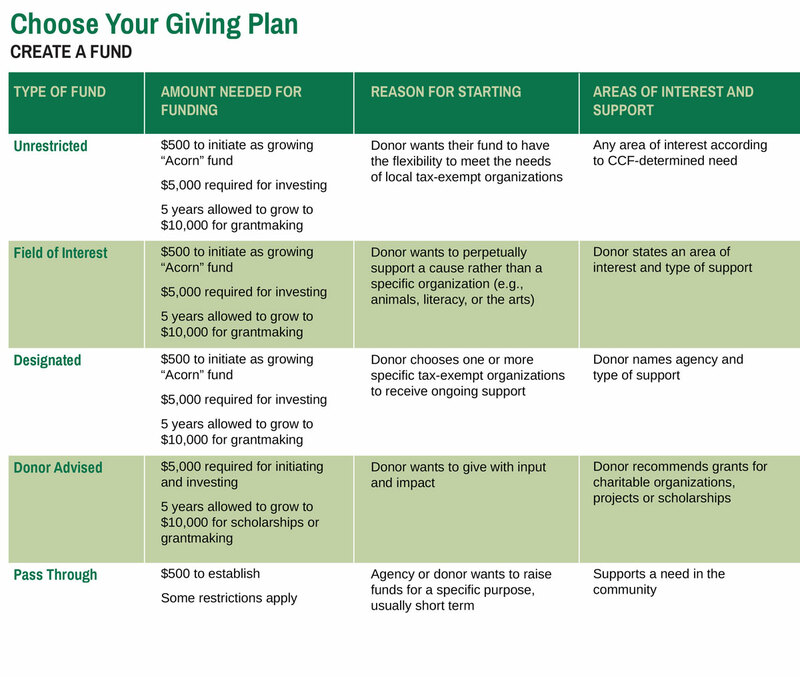 Individuals, families, or organizations can create a new fund, donate to an existing fund, and/or direct advised or planned gifts. Endowment and grantmaking begin at $10,000, but Acorn Funds, meant to grow, can be initiated with as little as $500.